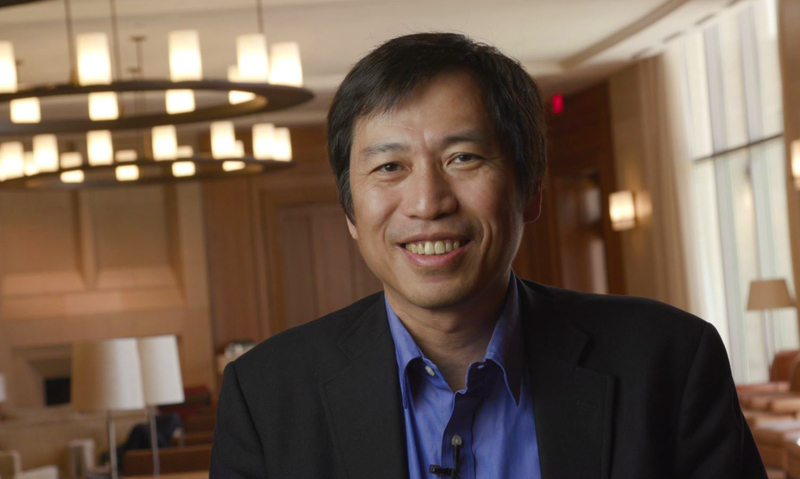 As most of his classmates at the University of Tokyo Faculty of Law were preparing to begin their first jobs, Masahisa Ikeda ’93 was preparing for a long trip from Japan to Cambridge, Massachusetts, in the United States. He was the only law student that year to forgo the traditional path of seeking a career in Japan, and instead headed directly abroad. Learning U.S. law proved more than beneficial, Ikeda says now. Since U.S. private law is the basis for global business law, it’s also one of the most popular governing sets of laws for cross-border business transactions, which has been Ikeda’s primary focus over the past 25 years. His thorough knowledge of U.S. law has been crucial to his practice at Shearman & Sterling, where he has built a reputation as a preeminent lawyer for cross-border business transactions and disputes, advising companies such as Toyota Motor Corporation and Nomura Securities, among many others. Even when U.S. law is not strictly applicable, he says, many Japanese lawyers will turn to it for guidance because it has accumulated so much precedent. But Ikeda’s reputation as an expert in cross-border transactions was built on more than his advanced knowledge of U.S. law. “Many issues that arise in connection with my clients – which is still true after 25 years of practice – are not strictly legal,” he says. Ikeda, who is now the Asia Regional Managing Partner of Shearman & Sterling, the head of its Tokyo office and also a member of the firm’s Executive Group, managing the entire firm, credits his education at Harvard Law School with helping to prepare him for this oft-overlooked aspect of lawyering. “Harvard Law School draws its students and faculty from all over the world; to me what I have practiced since graduation is an extension of what I did at the Law School, which was to think, argue, and advocate with people from varied backgrounds. 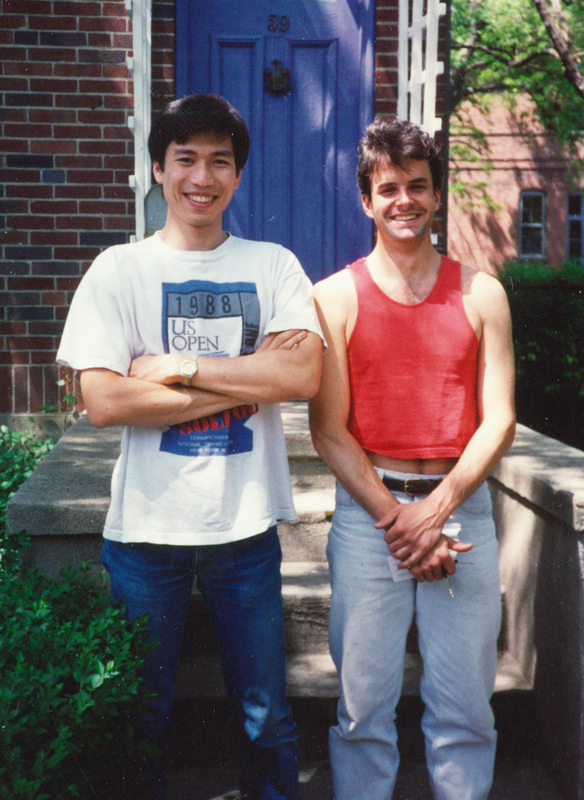 Ikeda with roommate Alan Schwartz ’93 in front of their off-campus housing during their time as HLS students. It’s a career path, he says, that is just as important today as ever. Ikeda distinctly remembers thinking as a student at HLS that the world surely would not suffer from cultural differences as significantly in 25 years as it did at the time. But surprisingly, he says, the gap hasn’t closed much. That’s one of the reasons Ikeda has been so active in maintaining his connection to Harvard Law School. In addition to returning to Cambridge for his 25th Reunion in spring 2018, he recently volunteered his time and expertise as a speaker in the Law School’s Traphagen Distinguished Alumni Speaker Series, as well as helped to coordinate a lecture by Professor Glenn Cohen ‘03 on health law to HLS alumni in Tokyo. Ikeda is also a member of the Class of 1993’s Gift Committee because he feels it’s important to help fund the School’s ability to attract and retain the best and brightest students from around the world.